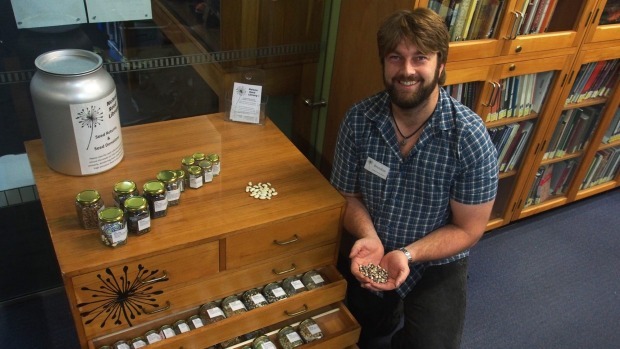 The Nelson Mail did an article on the seed library today, it's great to have the extra publicity. 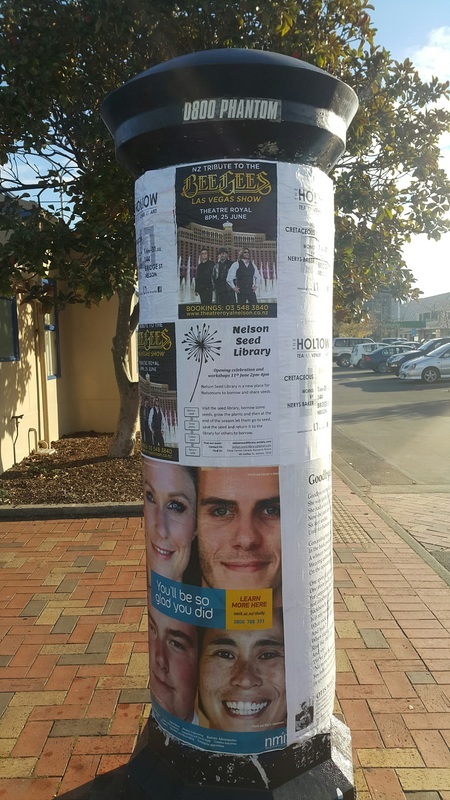 A big thanks to Nelson City Council for providing free spaces for advertising in town, Phantom Bill Stickers for putting them up and Amme for getting it organised. We now have posters in 10 locations around town - Getting the word out about this awesome new resource in our community. 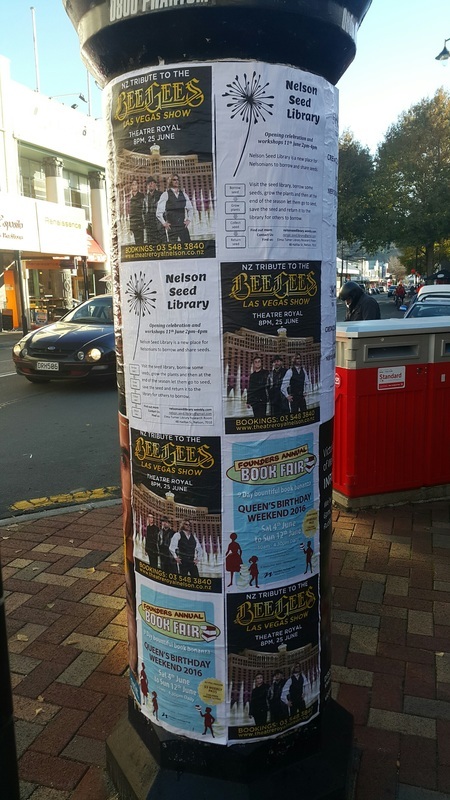 Unfortunatly, our Give-a-little campaign (https://givealittle.co.nz/project/nelsonseedlibrarystartup) looks like it is unlikely to make it, however we have had some more support in the way of products. DENZ.co.nz have donated enough diatomaceous earth to keep our seeds insect free. O2B Healthy have also offered us a supply of small silica gel sachet to go inside our seed jars. Seeds have started to be offered from the community with people offering us parsley, carrot, beetroot and tomato seeds in the last few days. Tomorrow we will hopefully have our seed donation box set up at the Elma Turner Library which will make it easier for people to get their seeds to us. The systems are being worked out and signage and other display information is being created, the drawers have had two coats of varnish and will get their third and final on the weekend. It looks like we wil be on track for our opening on 11th June. The Nelson Seed Library Team would like to thank Arthur Holmes Ltd, Wellington, and Nelson's own Pic's Peanut Butter for their generous donation of jars for our seeds. The seed varieties are being catalogued and labelled in preparation for the library opening on 11th June. We have been working towards getting set up and have now got an opening date! 11th June 2016 from 2-4pm at the Elma Turner Library on Halifax St. Everybody is welcome to come and learn about the seed library and "check out" their first seeds. If you are connected to facebook you can see the details of the Nelson Seed Library Opening Celebration and give us an idea of how many people are likely to attend. We have also started a new facebook page for the Nelson Seed Savers to connect to one another. We have had a few donations of seed this week including two types of Kale, Bulls Blood Beetroot, Daikon Radish and a few others that will make it into the library collection. Virtually all New Zealand's vegetable seeds are imported, raising fears that new Government rules may restrict or delay imports and cause a vegetable shortage. New Zealand could face a vegetable shortage in coming months because of the Government's crackdown on seed imports. Flowers too might be in short supply as imported seeds get caught up in new rules and costs of testing mount. Carrots, lettuces, tomatoes, parsnips, and leek seeds could all be held up on the wharf awaiting testing for potential contamination. General manager of the New Zealand Grain and Seed Trade Association Thomas Chin is dismayed about the lack of consultation over new seed import rules. In some cases overseas seed growers might not even bother to send seeds because the testing regime might be too costly. At this stage of the development of the Nelson Seed Library we have several aspects that we are working on. Finding a home for our seed library is at the top of the list. We are fortunate to be able to confirm that we have been offered a space in the new building of the Tahunanui Community Center which should become available in July/August. We also had an email from the Nelson Libraries which may lead to us having a space in the public library as well. Now that we have a home we need to decide on the logistics of storing and distributing the seed and other aspects of running a seed library. We are trying to source some storage containers for the seed and some furniture to store those in (shelf/cupboard/drawers/roll top desk/other). We need to network to some reliable gardeners who can help steward seed varieties and we are still seeking donations of seed. Another thing we are considering is running a crowdfunding campaign and applying for some grants to raise a small amount of capital to assist with the setup and initial running costs of the seed library.